Featuring a bunch of facial hair, a stack of hits, and at least one unnecessary drummer, .38 Special rocked Long Island in January of 1985. This week, Matt Wardlaw takes us back. While reading the paper the other day, one of those strange but horrifically true kind of stories jumped out at me. A local man drove his car into an embankment at 100 miles per hour, sending the vehicle on a 173 foot air journey that ended with the car hitting the side of an apartment building between the third and fourth floor. Mercifully, no one in the apartment building was injured, although as you can probably imagine, the driver of the car perished in the crash. Local authorities said that they’ve never seen an accident like this, particularly one that involved a car traveling the distance and height involved in this accident. The local paper had their staff artist draw an artistic rendering to better explain how the car struck the building, which seems a bit unnecessary, but my mind had already gone to other places. 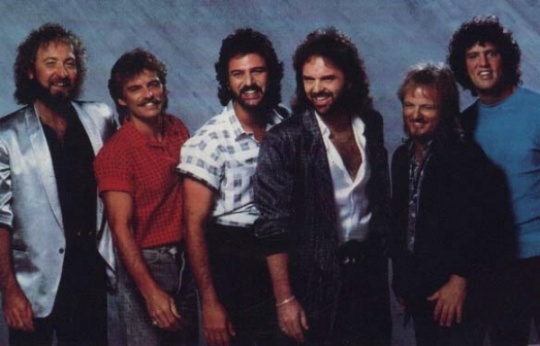 My question to you as fellow music fans – did the above .38 Special videos look as cheesy back then as they do now? Today’s featured show from .38 Special will be a bit familiar to longtime fans of the group – it was previously released on home video in the 80’s as Wild Eyed and Live, a release that is long out of print, making the audio version of this show a happy discovery. Sticking with a successful formula incorporating the “if it ain’t broke, don’t fix it” theory, many of the songs from this show are still in the .38 Special setlist to this day. There are some nuggets, though – “Undercover Lover” from the platinum selling Tour de Force (the band’s current release at the time) being one of them. .38 Special were one of those bands for me growing up that I heard a song here and there, but never really investigated the full albums until much later. I came to the eventual realization when I saw them live for the first time that visually, they really aren’t very far removed from Lynyrd Skynyrd. The difference: .38 Special leans a bit more pop (or a lot), and yes, both bands have a Van Zant brother in the lineup (and they both recorded Christmas albums that nobody wanted). It’s the songs that separate the two bands in my book – I’m more likely to want to put on a .38 Special CD these days, and chances that you’ll find me listening to Lynyrd Skynyrd are a lot less likely. Early co-writes with Survivor’s Jim Peterik taught the band a thing or two about writing a memorable hook that sticks with you, and brings you back in search of more. They eventually told Max Carl to take a hike (which probably had something to do with the non-success of Bone Against Steel…was it the album cover?) – Barnes returned to .38 Special in 1996, and the band released the under-rated Resolution album in 1996. With only the occasional lineup change since then, you can find the band out on the road nearly every summer (which is where they’ll be this summer with Lynyrd Skynyrd) , and you’d better believe it, they’re still so caught up in you, little girl. Download or listen to this complete show at Concert Vault by clicking here.